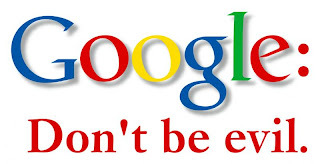 Home » buysafe » Google evil » Google hypocrisy » Google Hypocrisy Exposed Again! Greed is the discorded love of Google. 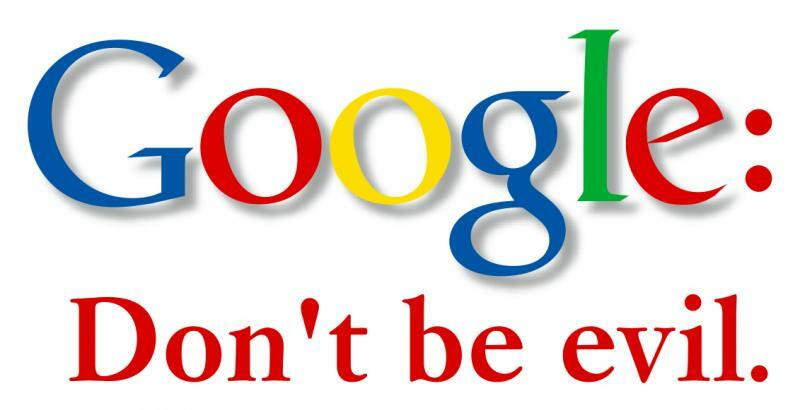 The phrase that may not sound good to many watchdogs of the search engine but it’s actually true. There are many instances that prove Google favors brands and the company aims at smaller business to have its goose producing more golden eggs. First it was China that exposed Google hypocrisy and now buySafe! In digital world, the Pareto Rule (80/20) does not hold true especially in search business. Google knows 20/80 rule works in virtual world and it’s always about ‘Long Tail’. Google apparently favors big brand more on organic than on sponsored search that is being perceived as a discouraging tactic for smaller businesses which is definitely NOT from Google perspectives. The objective behind this sudden love of Google for brands is not due to ‘trust’ but due to 'moolah'. O..La la..! Big brands rely more on other marketing channels than on search engines. They care less if their sites rank on Google or not. Then who cares? Of course small businesses that can’t afford large multi-channel marketing investment and therefore relies so much on search engines, especially on Google, for their business. The strategy is clear now. The search engine does not want smaller businesses (large in number) to rank on organic search results rather wants them on ‘sponsored slot’ to have goose producing more golden eggs. The watchdog of search quality always hints at ‘Quality’ as an important ranking signal but to me and many of us, quality is a subjective term that is subject to debate. Not necessarily all that is liked by online users is quality and vice versa. What is quality from Google’s perspectives? To me, quality refers to how many products/services of Google that a business consumes. If a business spends a large volume of money on AdWords, uses ‘Check Out’, become partner and affiliate, uses Google Merchant service, etc, Google treats it as Quality! We often fall in debate and discussion of doing X for Y and try to solve the mysterious puzzle of the search engine’s algorithm. A Bully Finds a Pulpit on the Web, published in the New York Times is one such instance where Google faced the faux pas. Another such recent incident can be found when a company named buySafe is filing a case against Google over their “Trusted Stores Program.” buySafe is a company that addresses the concerns of online shoppers by providing third party certification and transactional guarantee for internet retailers. Google tried hard for a joint venture with buySafe in 2006 and 2008. When failed on this front, Google launched its Trusted Stores Program which is similar to buySafe’s program. The ONLY advantage with Google is that it would ask e-retailers enrolling for the program to get favor both in organic ranking and in advertisement slot. Matt Cutts always says Google values a trusted site. With this program, Google will certify which eCommerce site is trusted or which is not, right Matt? Is the same ‘trust’ you are talking about? I’d not say much except quoting Karl Marx who said ‘capitalism contains the seed of its own destruction. To me, its hypocrisy while for many it may be stupidity! What do you think?